45 years ago, Ashida Electronics started designing electronic products as import substitutes. During those days, when government had controlled policies for business operations, Ashida made determined and sustained efforts due to which now they offer products to market that are absolutely comparable with international brands. 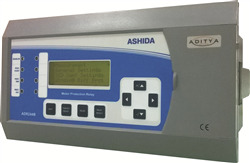 Emphasis on innovative design and excellent quality control, has made Ashida as a preferred brand for Numerical Protection Relays. In 1970, me along with my brother-in-law Lt. Mr. Manohar Kulkarni took first step to start our business venture. This period was before introduction to Globalisation, Privatisation & Liberalisation. The market was not open and we had many challenges to overcome. But, the basic idea of becoming an entrepreneur was very much strong which helped us to overcome all the hurdles we faced. 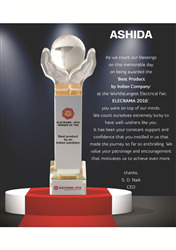 We had a big dream of developing a product indigenously which was been imported. Additionally, 40 years back Indian government was pessimist of investing in Research & Development. This also urged us to get into business venture and create sustainable and indigenous products which can compete with existing foreign products. ASHIDA is a recognized R&D House as well as Export House. 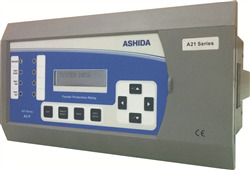 ASHIDA has made lot of Research and have successfully designed Power Protection & Automation Solutions. Recently, in one of world’s biggest electrical fair i.e. 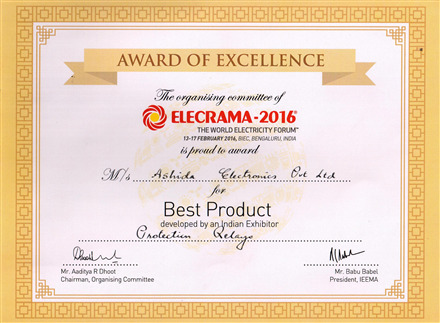 ELECRAMA 2016, ASHIDA received an award for Best Product Developed by an Indian Exhibitor. I guess this certifies everything. ASHIDA has always focused on quality. We have never compromised on the quality of product. Since, we are in Protection industry we need to bind to all technical standards. This discipline in our approach is our biggest strength which has helped us to grow and sustain. One approach for considering new products is to understand the lacunae with technical perspective. The second is to develop solutions which are more suitable to Indian technical and technological environment. This helps the industry to have customized solutions to Indian environment instead of using the prototypes that are been developed for American or European design standards. We have implemented Lean Manufacturing Procedure. This has helped us in eliminating wastes in manufacturing procedure. It has resulted in enhancing the quality, reducing the time and increasing the production capacity. We do we have Green channel Suppliers. These vendors abide to guidelines and supply product components JIT. 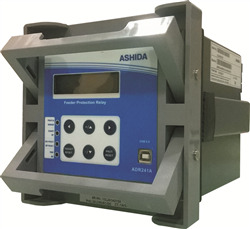 ‘ASHIDA’ make Relays have high reliability in our customers’ mind. We supply the products as per our customer’s guidelines. We are green channel supplier to many of our customers. The basic idea of developing and manufacturing products indigenously keep us active. We have already created strong base in Electrical Protection industry our next focus is to penetrate in Electrical Automation industry. Indian products are now been well received. Our products have managed to create confidence in Utilities and Industries that Indian Products are at par with international brands. Even in international markets the perspective of looking towards Made in India products is facing transition. In international markets Indian products are well accepted. 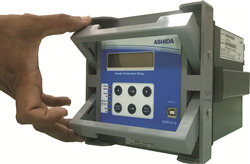 ‘ASHIDA’ make relays are reliable, cost effective and lead time is lowest. These 3 attributes will help us to counter any speed breakers. Competition helps us in becoming more competitive with respect to the quality of products as well as developing and integrating technology. Competition keeps us motivated and challenges make us more aggressive in penetrating new markets. With implementation of Lean Manufacturing we have increased our production capacity. The Lead Time is low and our R&D team keep innovating the products. This helps quality and satisfaction for employees. Additionally, we also practice some periodic activities for employee satisfaction. First company in India which is started business in field of protection relay and numerical protection relay. Company have 47 year of experience in protection relay. Manufacturing quality of feeder protection relay, SCADA & motor protection relay etc.